Need to buy the best BBCOR bats of 2019 on the market today? You are not alone. More than 450,000 high school players and more than 25,000 college players, National Federation of State High School Associations baseball players and players in other different leagues need certified BBCOR bats. With so many options to choose from, choosing the best BBCOR bats can be a difficult task. This year the Quatro is definitely the best BBCOR bat of the lot. And that’s high praise given that there are a lot of worthy contenders in the BBCOR space. Its performance will awe you. This bat did well on every test we put it through. The Quatro is a balanced, Four-Piece, Composite Baseball Bat with a huge barrel, and its performance outstanding and the feel on mishits, beautiful. One notable difference between the 2018 and 2017 Quatro is the change in swing weight. The 2018 Rawlings Quatro features a newly-designed end cap to Reduce Swing Weight & give more Control. This change won’t make a world of difference but is big enough to be noticed. Weight saved results in lower MOI which makes it possible to swing the bat with greater speed and greater control. If you did not like the 2017 Quatro’s swing weight, you may want to check out the 2018 version. The 2018 Rawlings Quatro is technically a four-piece bat and the name says as much (Quatro). The Handle, The barrel (both composite), a collar between the handle and the barrel to dampen vibration on mishits, and finally the end cap. As a balanced, two-piece composite bat, it’s no surprise we love this bat. It has a decent sized barrel and no vibration even on mishits. The only disadvantage is the composite barrel which requires breaking in, unlike aluminum bats that are hot out of the wrapper. The 2018 Voodoo Balanced BBCOR bat is a two-piece, balanced, hybrid baseball bat. perfect for hitters looking for a top of the line drop 3 hybrid baseball bat. A hybrid bat is a two-piece bat that has an aluminum barrel and a composite handle. We love aluminum barrels because they are hot out of the wrapper, and are almost always more durable than composite barrel bats. The DeMarini Voodoo has an alloy barrel that provides additional strength & performance. Additionally, it features what they refer to as a 3Fusion handle to reduce vibration by channeling all of it back into the barrel. The composite barrel eliminates sting, and its 3Fusion end cap has been redesigned to reduce weight and offer more control. The Voodoo is also affordable compared to other two-piece composite bats. As a parent, you get to save about $100 to buy a durable, top-performing bat. Compared to the 2017 model, the connective piece (Was previously called the D-Fusion handle, now referred to as the 3Fusion) has been slimmed down for more control & an optimal feel without messing up the swing weight. Other than that, the 2018 Voodoo features the same aluminum barrel & composite handle as the 2017 version. The aluminum barrel, the light, balanced swing, coupled with the fact this bat is the most popular hybrid bat and has been around for years, makes the 2018 Voodoo a solid choice. The 618 Solo was the best BBCOR bat of 2017. If the 2018 model is anything like last year’s, then you can expect one hell of a bat. 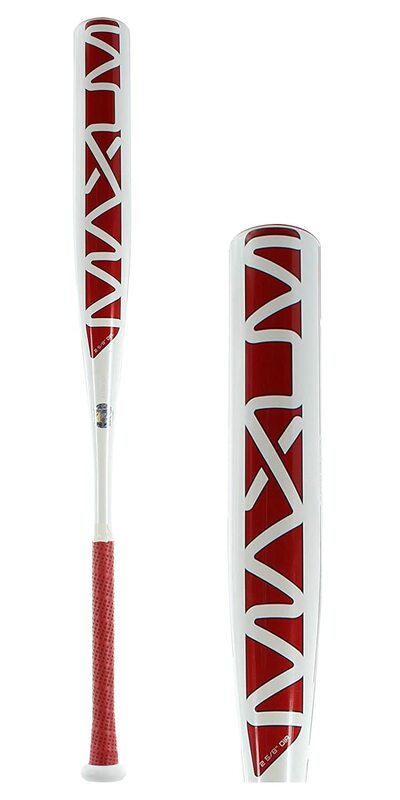 The Louisville Slugger 618 Solo is a one-piece, balanced, aluminum alloy, drop 3 bat that comes hot out of the wrapper. As is expected from one-piece bats, the 618 gives stiff, traditional feel and transfers more power to the ball. Additionally, as a single piece bat, the 618 Solo isn’t as forgiving on mishits as you’d expect with two-piece bats. The handle on this bat comes pre-wrapped in Custom Lizard Skins bat grip tape that provides vibration reduction, comfort & improved grip. The all-new End Cap offers more speed, control, and a balanced swing. Louisville Slugger makes life so much easier by featuring the bat’s swing weight index on each bat. This is incredibly useful for anyone buying this bat online. You’ll be happy to know that the 2018 version of the 29-inch 618 Solo is the lightest BBCOR bat ever made. Two things changed on this year’s model of the 618 Slugger. For starters, the 618 Solo features a new, lighter composite end cap. Second, this bat is lighter. The change to the end cap is largely what makes the 618 SOLO lighter. In fact, the 2018 Solo is the lightest swinging bat in Slugger’s stable of bats. Light swing weight – The 29 inch is the lightest BBCOR bat on the market. We haven’t swung a bat that is this light before. Sting – As a one-piece bat, the 618 Solo gives honest feedback and is unforgiving on mishits. Baseball’s New Ghost X is Easton’s new flagship bat, replacing 2017’s Mako. The Easton Ghost X is a balanced, drop -3, two-piece BBCOR bat that is a true testament to Easton’s commitment to producing the very best baseball bats. This is a composite bat that is perfect for both contact hitters and power hitters. Handle comes pre-wrapped in 1.4mm HYPERSKIN grip for vibration reduction & improved grip. The white grip is comfortable but it gets dirty super fast because it’s white in color. The Ghost X uses Easton’s X-Tended Barrel Design which gives the Ghost one of the Longest BBCOR Barrels. Additionally, the Ghost X sports a Barrel Engineered For Better Vibration Reduction. The low MOI with Low Swing Weight Index makes it possible to swing the bat with greater speed and greater control. The barrel on the Ghost X is such that the sweet spot is optimized for a massive hitting surface. Coupled with Easton’s Dynamic Feel System, the feel on mishits is really smooth. The 2018 Ghost X and 2017 Mako Beast are generally quite alike in many aspects. They both sport a huge barrel, have a light swing weight and are both two-piece composite bats. Structure: The Easton’s structure is such that the barrel remains more or less the same, but the sweet spot is longer along it. Barrel Size: The MAKO Beast had one of the largest barrels in 2017. The 2018 Ghost X has a barrel just as big. Connective Piece: Easton claims to have redesigned the connective piece for more durability. The MAKO used the CXN since inception. This piece is now referred to as connection+. The 2018 Combat MAXUM is a balanced, composite, one-piece baseball bat that comes hot out of the wrapper. The fact that this version is still around even after Combat’s collapse, is a testament to how much consumers loved it. Easton, the maker’s of one of the top BBCOR bats of 2018, the Ghost X gave the Combat MAXUM a new lease of life. Combat’s parent company opted to shut down operations & Easton, owned by the same parent company, decided to pick it up for 2018 (thankfully). Single piece bats are a hit with players who like feedback from their bat. These bats aren’t as forgiving as two-piece bats which have the smooth feel on mishits. Players who love single piece bats also love that they can transfer more power to the ball. Which makes sense because two-piece bats have more flex and consequently won’t transfer as much power to the ball as a stiff single piece bat would. For this reason, single piece bats are the preferred option for stronger, elite hitters. Besides the fresh coat of paint, there are no significant differences between the 2018 and 2017 Combat MAXUM. The Combat MAXUM touts a hitting surface 20-40% larger than competing bats, which isn’t hard to believe because the barrel is massive. The MAXUM also sports a seamless construction design owing to their precision molding technology (PMT). This results in a barrel that’s perfectly tuned. No seams. No dead spots. Fantastic performance right out of the box. Furthermore, the MAXUM’s handle comes pre-wrapped in a synthetic bat grip for vibration reduction & improved grip. If you like honest feedback from your bats and you’re looking for a bat that’s good value and a good performer, the COMBAT is sure to impress you. Sting – As a one-piece bat, the MAXUM is unforgiving on mishits. The proof is in the ping! The 2017 Rawlings VELO was a fantastic bat & the 2018 model is no exception. You can always count on Rawlings to have an entry or two in any list that features the best bats. Doesn’t matter what league you play in, Rawlings has a stellar bat for it. The 2018 Rawlings VELO is a One-Piece, Hybrid Baseball Bat with a Balanced Swing Weight. This is arguably one of the best drop 3 BBCOR bats for 2018. Aside from the fresh coat of paint and the fact that it is a fantastic purchase, there are no significant changes between the 2018 and the 2017 Velo. Everyone who used this bat was blown away by how well it performed. Players who love faster swing speed will especially love this bat. The Rawlings VELO is a one-piece bat that uses variable wall thickness and a groove on the inside of the barrel to create a light swinging bat with a big barrel. In the 2017 VELO, Rawlings began using their pOp 2.0 tech which creates a groove on the inner barrel to increase flex & provide more Pop. This groove gets rid of volume within the inner barrel and consequently, reduces the swing weight while still allowing for a big barrel. The barrel isn’t the biggest of the bunch, but it’s far from small. The resulting low MOI produces effortless line drives in the gaps with almost no effort. While the actual barrel profile isn’t the biggest around, there wasn’t a time that it ever felt small. Additionally, the VELO employs a Comp-Lite end cap to provide balance and reduce swing weight even further while generating even faster swing speeds. The 2018 Rawlings VELO isn’t a hybrid bat in the traditional sense of the word (It doesn’t have a composite handle and an aluminum barrel). The reason they call it a hybrid bat is because of the extended composite end cap. If you’re looking for a one-piece, aluminum bat that has a low swing weight, solid pedigree, is hot out of the wrapper and has a ping so loud it hurts your ears, be sure to give the VELO a try. Price – Compared to other top BBCOR bats, the VELO is reasonably priced. White graphics – gets dirty fairly easily. Rawlings puts up new baseball bats for every season. One of the models that always makes the cut is the 5150. The 2018 Rawlings 5150 is single piece aluminum alloy baseball bat that comes Hot out of the Wrapper. As you’d expect, this is a top-performing, lightweight, durable bat with a stiff, traditional feel. The 5150 is set apart from the competition by using a tapered inner barrel. If you were to cut the bat along its barrel length, you’d find different levels thickness. This variable wall thickness produces a bigger barrel at no cost to the swing speed. Additionally, Rawlings pOp 2.0 Technology creates a laser groove down the inner side of the barrel to further reduce swing weight. The result is a light-swinging, big barrelled, high performing baseball bat. As with some of the bats we have profiled in this review, the 2018 version of the Rawlings 5150 is hardly any different from the 2017 model. In our experience, we consider the 5150 as slightly end-loaded. 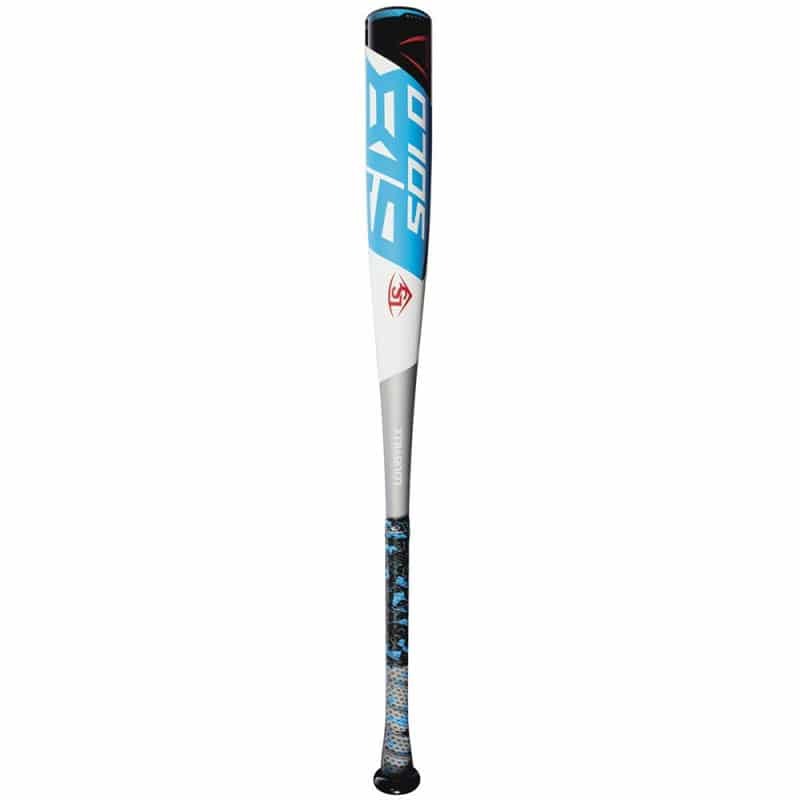 The 5150 is noticeably heavier than the Rawlings VELO, for instance, despite most vendors labeling it a balanced bat. This bat is ideal for elite hitters who love the stiff feel of a one-piece bat, and a bigger barrel. As expected, the 5150 stings the hands during mishits but is a lot more forgiving than the Velo owing to the additional weight. This bat is the ideal choice for players looking for a cheaper BBCOR bat and/or elite hitters who prefer the traditional stiff of a one-piece bat that comes as slightly end-loaded. If you dream of hitting like a seasoned pro, choosing the best bat gets you one step closer to your achieving this dream. Making the best choice, however, is tedious and time-consuming. Additionally, the BBCOR bat space is filled with a range of fantastic bats. Not to mention the new, improved models that manufacturers continue to put out year after year. Making the right choice is getting increasingly difficult. The first thing to remember is to determine what’s important to you. Take a look at your budget, and your preferences – your hitting style & taste. It all depends on what you need from your bat. When buying a BBCOR bat, ensure that the bat is from a reputable manufacturer & has the BBCOR certification label. If not, it may not be legal for use in your league. For instance, if your budget is not high and you’d prefer an inexpensive bat that’s still a good BBCOR bat, a solid wooden BBCOR bat fits the bill quite well. On the other hand, if money is not an issue and you want the best BBCOR bat the market has to offer, then get yourself a composite BBCOR bat. What is a BBCOR Bat – What Does BBCOR Stand For? When shopping for a baseball bat, you’ll eventually come across the BBCOR acronym. The BBCOR qualification standard was put in place by the National Federation of State High School Associations and the National Collegiate Athletic Association. It ensures that alloy bats and composite baseball bats that were used by players in high school & college met a certain standard. What does BBCOR stand for? Batted Ball Coefficient of Restitution. The BBCOR qualification standard measures the “trampoline effect” of the ball on an aluminum or composite bat. The higher this number is, the faster the ball leaves once its hit. According to the National Federation of State High School Associations and the National Collegiate Athletic Association, a 0.50 rating or less (slightly more than that of a wooden bat) was required for a bat to BBCOR certified. The BBCOR standard was implemented to ensure the safety of the players (especially pitchers) on the field. The old ration did not adequately protect them from dangerous ball speeds. This way when the bat conforms to the BBCOR standard, the league can make sure that its players are not in harm’s way. For instance, wood baseball bats don’t have a lot of “flex” when the ball is hit, and as a result, the ball loses a significant amount of energy. The BBCOR standard makes sure that non-wood bats perform much like wood bats. This evens out the field and increases player safety. While BBCOR bats are only required for high school & collegiate level, they have started to feature in other leagues around the 10 to 14 age range. This because young hitters at this age are able to generate deadly speed with hits from bats that are not BBCOR certified. Now that we’ve covered what BBCOR stands for, let’s move on to how to pick the best BBCOR bat. Finding the best bat given the hundreds of options available is no small feat. Do you want an aluminum or composite bat? Would you prefer a one-piece or two-piece? End-loaded or balanced? This can be a lot to take in. BBCOR bats have a -3 length to weight ratio (and are often referred to as drop 3 bats). Drop, or length to weight ratio is the difference between the length of the bat and its length. The resulting negative is what’s referred to as length to weight ratio or drop. For instance, a 33-inch BBCOR bat that weighs 30 ounces is a drop 3 bat. Take the length, 33 inches, and subtract it from its weight, 30 ounces. A good number of BBCOR bats range between 31 – 34 inches in length. A few models such as the 2018 Louisville Slugger 618 Solo go down to 29 and 30-inch lengths. Our bat size chart will help point you in the right direction. Scroll across the chart up until the point where the top (height) and the left (weight) meet. His chart only serves as a recommendation. Ultimately, the right right choice boils down to preference, strength, and technique. Test out several lengths until you find the one that suits you best. The next item on the list is the type of material. BBCOR bats come mainly in aluminum and composite materials. Aluminum BBCOR Bats – These are also referred to as alloy bats. They provide a more traditional feel and an unmistakable “ping” when the ball is hit. Fully aluminum bats also come in a one-piece design. One piece bats are known for honest feedback and are unforgiving on mishits. Read about the difference between one-piece bats and two-piece bats. Additionally, alloy bats are much cheaper than composite bats, which is a huge plus. Composite BBCOR Bats – are quickly growing in popularity and for good reason. Composite bats give players a distinct edge at the plate, helping them to become better players and improving their performance. Some of these advantages are a bigger sweet spot and reduced sting on mishits. Wood baseball bats – have been in production since the 1800s, and are the only type of bat allowed in the MLB. Few things are as distinct as the “crack” of a wooden bat. Currently, wood bats are made from several different types of wood such as bamboo, ash, birch, maple, and wood composite. Much like the name suggests, a one-piece bat features a single, continuous piece of metal. On the other hand, two-piece bats feature two different sections (a barrel and a handle), held together by a connector. One-piece bats: One-piece bats have a stiff feel and provide little flex on contact with the ball. Because of this, very little power is lost on contact with the ball resulting in more power. One piece bats are the preferred choice by strong, power hitters. Two-piece bats: Provide more give/flex on contact with the ball. The construction of a two-piece bat creates a “whip” effect that increases bat speed. This whip effect results in more power. Because of this, two-piece bats are great for players with contact hitters with average or below average bat speed. Balanced: These bats have their weight distributed evenly across the length of the bat. Players generate faster swing speeds as a result. Contact hitters prefer balanced bats because of this owing to greater control and faster swing speed. End Loaded: Have more weight near the end cap, towards the end of the barrel. As a result, end loaded bats are a bit harder to control and are best used by stronger, power hitters. More weight around the sweet spot means players can generate more power and hit farther. BBCOR bats are made from different materials. These materials will perform differently in different weather conditions. For instance, composite & aluminum baseball bats are not suited to cold temperature, and should not be used in temperatures below 60 degrees Fahrenheit. They will not perform as well in these temperatures and are likely to crack or break. The primary issue is not the bat but the balls. As it gets colder, the baseball or softballs get denser. Composite baseball bats and aluminum bats are not made to hit such heavy dense objects. Manufacturers will only honor the warranty if you take proper care of your baseball bat. Here’s how you can ensure your BBCOR bat receives the right care. Aluminum bats: Do not use your aluminum BBCOR bats in temperatures under 60 degrees. While the bat may keep its performance, the baseball bat gets hard and heavy. This change in weight will dent your bat. Another good tip is to have a spare, cheaper bat for your practice sessions. Limit the use of your bat to game days to slow the wear and tear on it. If you must use your bat during practice, use leather balls instead. Also, be a little selfish with your baseball bats. Breaking your bat is a very real possibility. Do not share your bat with your entire team so that it lasts longer. Wooden bats: Store them in a dry area. If you are using a wooden bat, it will sometimes develop tiny dents from continued use which is normal. To fix these, rub the bat down with a bone. This smooths out the surface of the bat by buffing out the dents. Composite bats: Store your composite BBCOR bats in a cool and dry place. Additionally, refrain from using your composite baseball bat in cold temperatures (below 60 degrees) as this will lower temps lowers the bat’s performance and may make them crack. Success on the field is largely dependent on picking not only the best equipment but the right equipment. As you shop around for the best BBCOR bat of 2018, we sincerely hope that this article helps you in your quest.